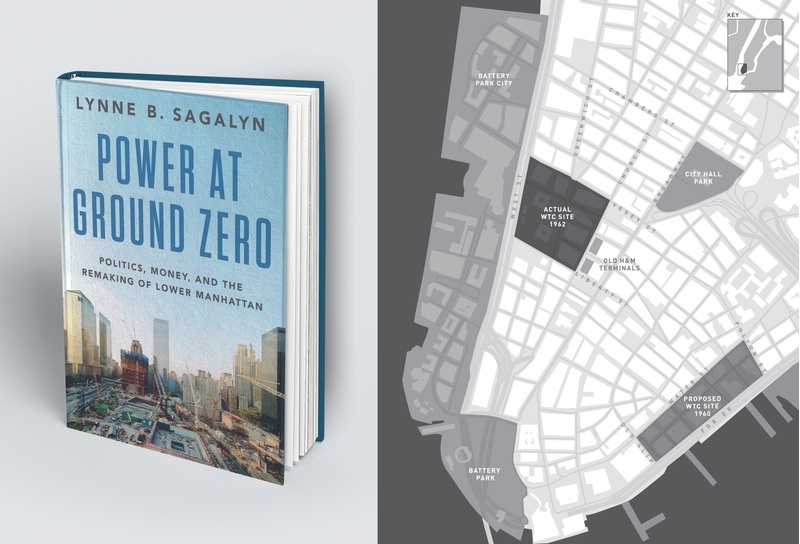 The greatest reconstruction project in modern history is the subject of the new book Power at Ground Zero: Politics, Money and the Remaking of Lower Manhattan, written by Columbia University Professor of Real Estate Lynne B Sagalyn. 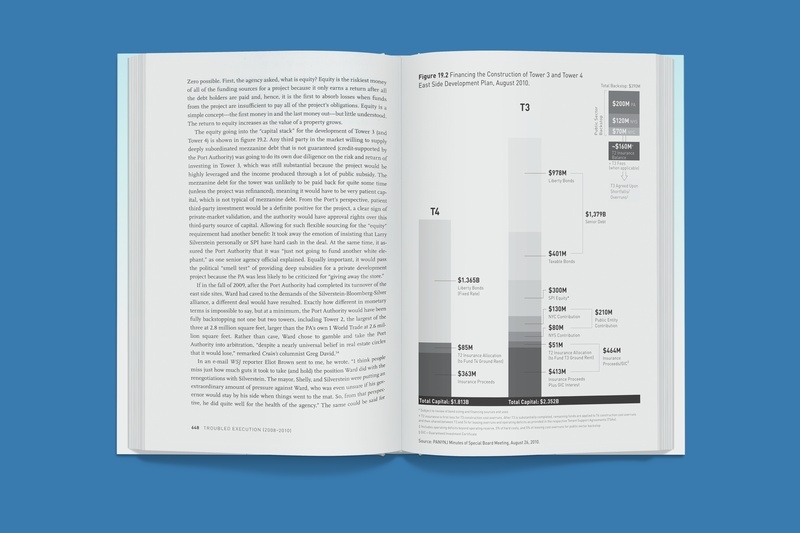 C&G Partners is privileged to contribute cartography and infographics that synthesize a decade of research and illustrate the symbolic reconstruction project. The fall of the twin towers on 9/11 had an undeniable global impact, but the sixteen acres in Manhattan where the Twin Towers fell saw the most physical destruction. Released by Oxford University Press on September 9, the book is a definitive account of the post-9/11 rebuilding of Ground Zero and the Lower Manhattan district. 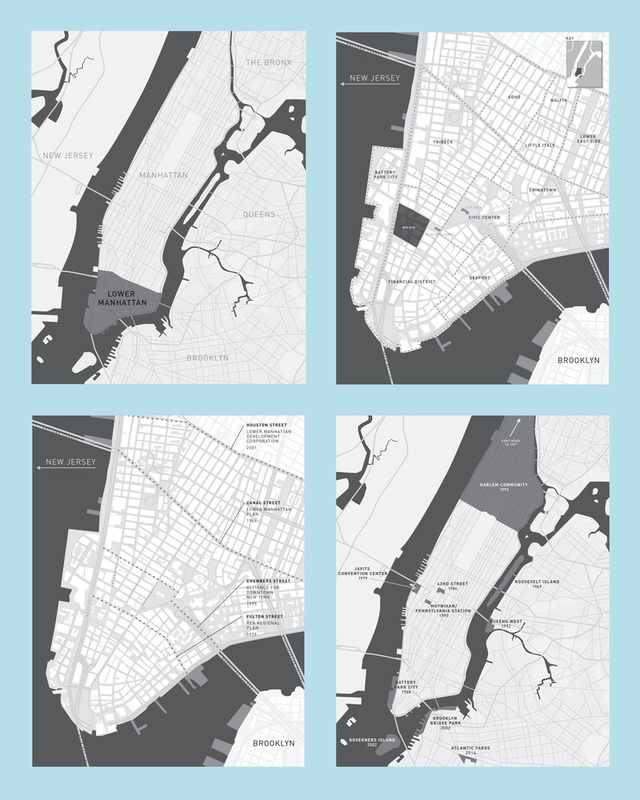 From identifying Lower Manhattan’s diverse neighborhoods to the proposed and actual locations of the World Trade Center, C&G’s layered maps deliberately make use of a tonal gray color palette that foregrounds accuracy and detail, while adding a sense of place and memory. In addition to maps, we created various data visualizations for Power at Ground Zero. The clear infographics reveal complex information such as construction financing and insurance. The project continues C&G Partners' longstanding efforts for multiple 9/11-based projects that have included wayfinding, directional kiosks, and site maps for the National September 11 Memorial & Museum.